Thought Halloween was all about the ghoulish outfits and fake blood splattered dresses? Think again! The high street has some fab Halloween inspired items that you won't want to put back into your fancy dress box for next year. Because let's be honest guys... It's only logical that we buy ourselves some spooky treats that we can re use, right? If you don't like the sound of tearing up an old dress for this years Halloween costume then who's to say you can't buy a new one? Perhaps one that you save for the office Christmas party? Teamed with some fury ears and black heels you've got yourself the perfect "sophisticated" black cat outfit. 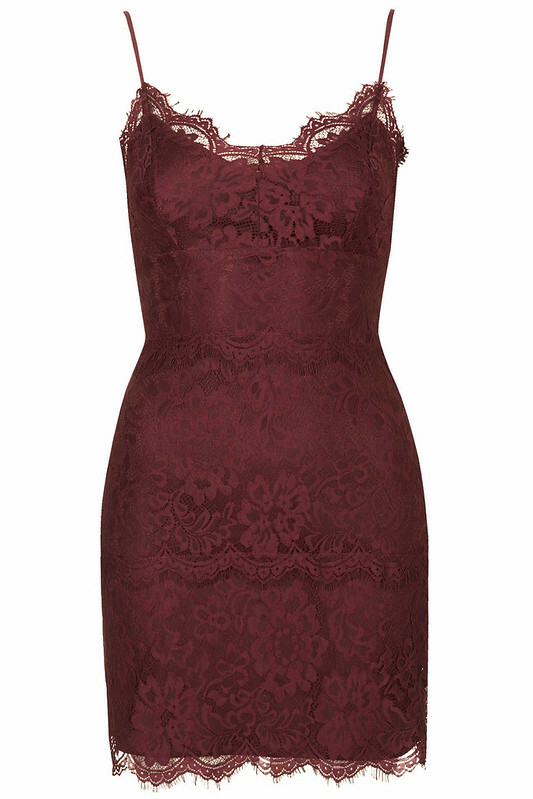 Maroon is so on trend this season. 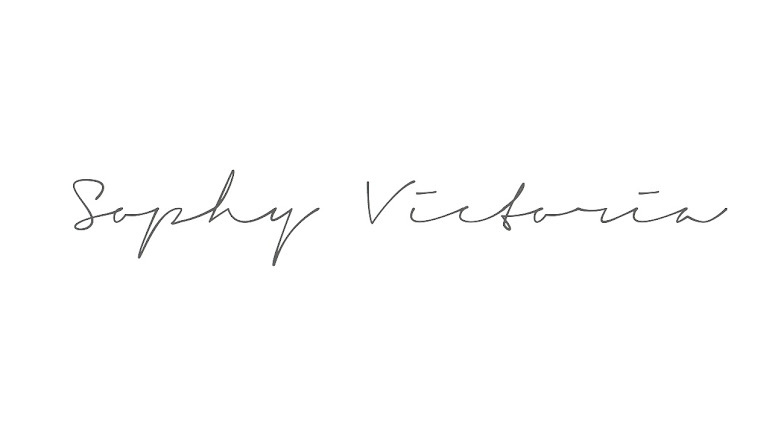 In fact I can't remember a time when it wasn't on trend, especially during the colder months. This dress teamed up with a black cape and a black velvet choker necklace will give you the perfect vampire ensemble. Or maybe even Buffy the Vampire Slayer if you minus the cape. Oh the possibilities! Slipper shoes are everywhere at the moment! And there's so many out there with fun designs, like these spider detailed ones from ASOS. You could add these to any Halloween outfit and they'd look good; a great comfy replacement to the standard black heels. Choker necklaces are back in a big way this season. Especially those tattoo style ones from the 90's. This variation would be perfect for a Halloween style outfit; think Gothic vampire or chic cat. I need this bag in my life! 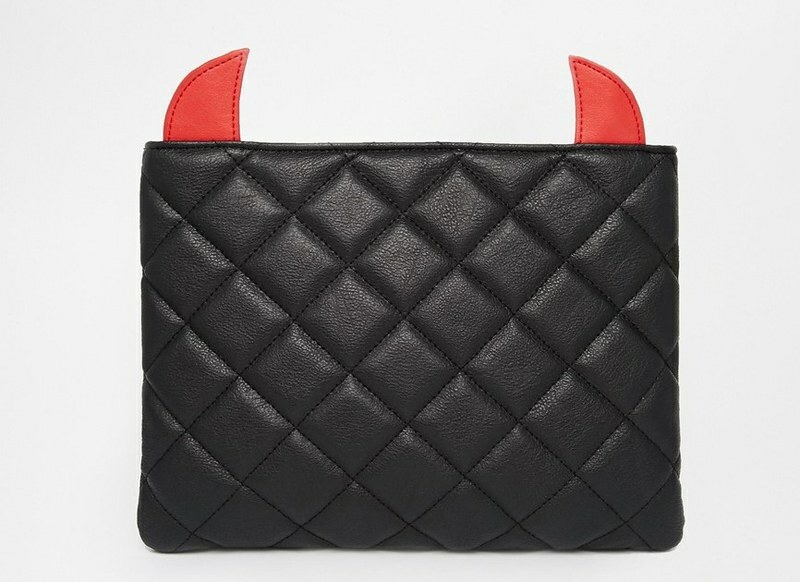 What clutch bag doesn't look good with devil horns? Worn as a Halloween inspired addition to a normal outfit or alongside fancy dress, this bag will look fab! What are your favourite Halloween inspired buys?